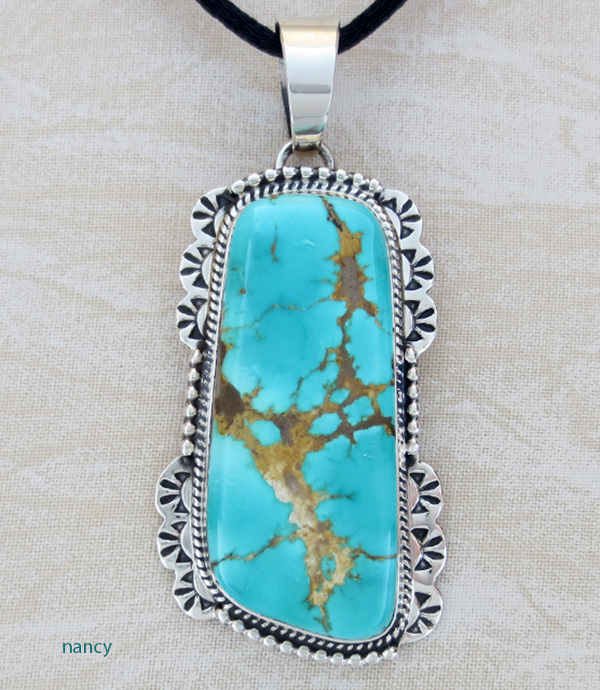 This large handcrafted pendant has a natural Rosyton Turquoise stone that is a bright blue with gold. It was made by Navajo Artist Herman Vandever. He does absolutely stunning work and I just picked up several pieces by him. The pictures speak for themselves. 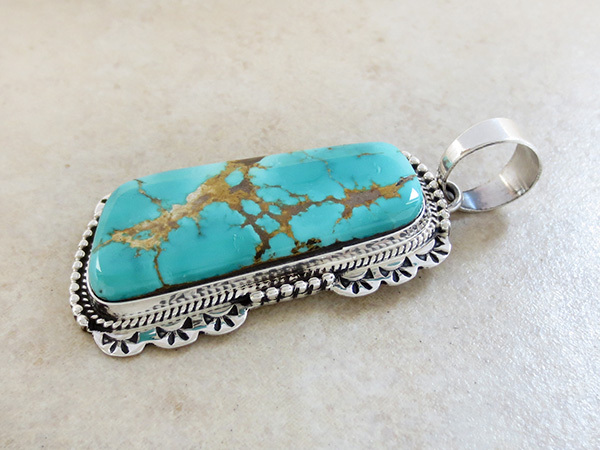 Navajo Artist Herman has been handcrafting beautiful silver, gold and stone jewelry for over two decades. 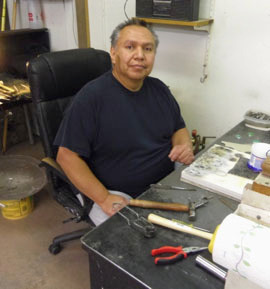 Herman comes from an extensive family of gifted Navajo Artists. His jewelry is uniquely characterized by its sturdy, high quality sterling silver, three-dimensional designs, and stones with silver overlay. His unparalleled skills in saw and file work are evident in each custom-made piece. 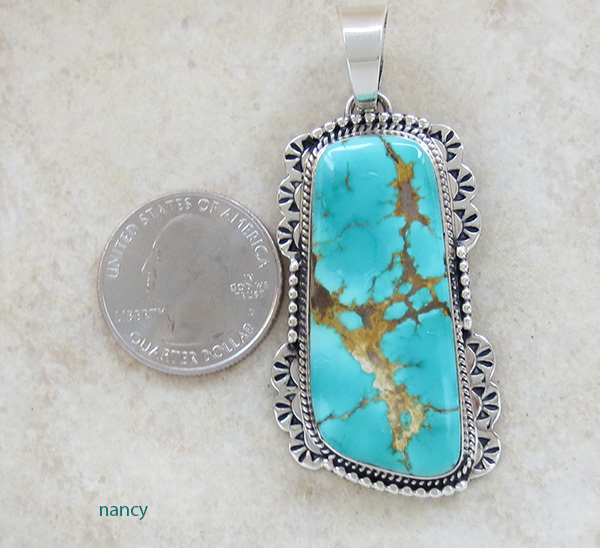 In each pendant, cuff, bracelet, ring and bolo, he seamlessly combines traditional Navajo styles with elegant, contemporary design. Herman was born in Prewitt, New Mexico in 1964. He and his wife Harriett have two children Kyle and Kayla. Royston is a district in Nevada consisting of three turquoise mines: Bunker Hill, Oscar Wehrend, and the main producer, Royal Blue. Royston is known for its beautiful colors ranging from deep green to rich, light blues set off by a heavy brown matrix. 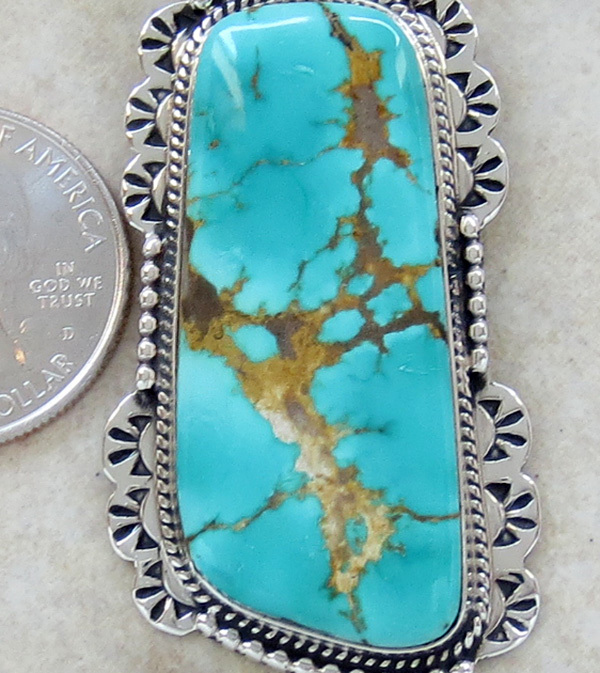 The Royston district is still producing some turquoise of high quality, but in limited amounts. 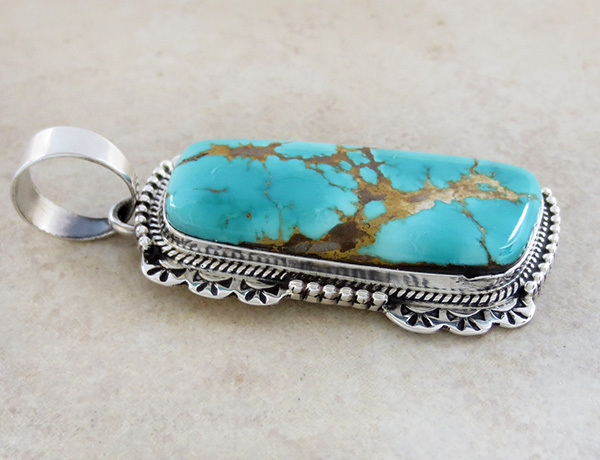 It is a relatively soft turquoise and should be given proper care to maintain ones" investment. 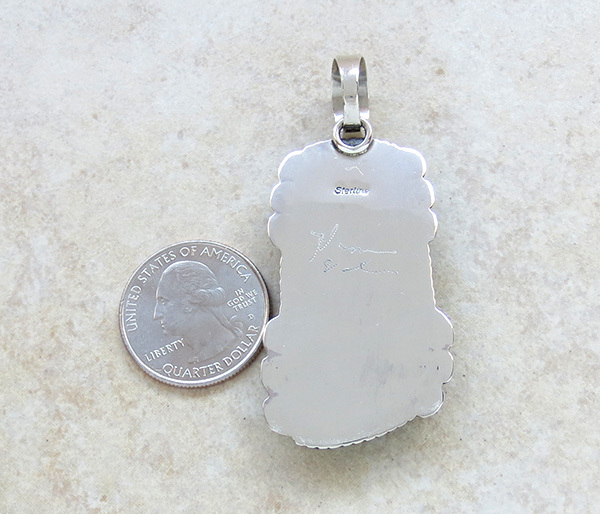 It measures 2" tall, plus 1/2" bail, by 1 1/8" at it's widest point.